YOU SPOKE. THEY LISTENED. SNAKES WON! Preserving biodiversity means protecting all native species, even those that might be considered unpopular. The Massachusetts Division of Fisheries and Wildlife (MDFW) has a long history of using the best available science to inform conservation and preserve wildlife. 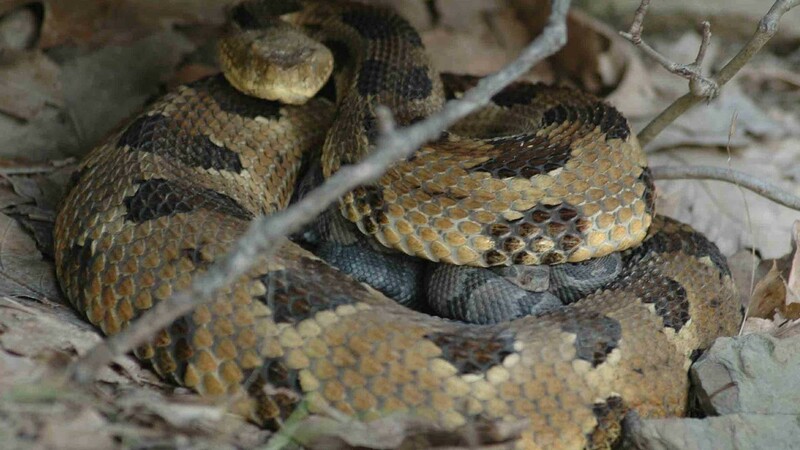 Recently, controversy over proposed efforts to protect timber rattlesnakes resulted in a proposed amendment to the Massachusetts state budget that would have hampered the Division of Fisheries and Wildlife’s ability to make independent conservation decisions. We asked the Conference Committee (who decided which amendments to keep) to remove this amendment. The Conference Committee decided to let science drive conservation and removed this dangerous amendment! Now we need to thank these #SnakeHeroes for standing with science-based conservation in Massachusetts. The Division of Fisheries and Wildlife should be given the opportunity to implement their plan. Thank the Massachusetts Legislature Conference Committee for removing the amendment and letting science drive conservation in Massachusetts. "Thanks @VinnydeMacedo for taking a #StandWithScience, letting @MassDFG do their job! #SnakeHero"
"Thanks @SalDiDomenico for taking a #StandWithScience, letting @MassDFG do their job! #SnakeHero"
"Thanks @RepSteveKulik for taking a #StandWithScience, letting @MassDFG do their job! #SnakeHero"
"Thanks @KarenSpilka for taking a #StandWithScience, letting @MassDFG do their job! #SnakeHero"
Let Senator Vinny deMacedo know we appreciate his support for timber rattlesnake conservation in Massachusetts! Leave Karen a comment thanking her for removing the amendment that would have put timber rattlesnake conservation on hold. Tell Representative Steve Kulik thanks for supporting science-based conservation in Massachusetts! Videos courtesy Polly Smith-Blackwell, PS Graphic Design. See more on our YouTube channel. You can make a difference for snakes by joining Advocates for Snake Preservation today.